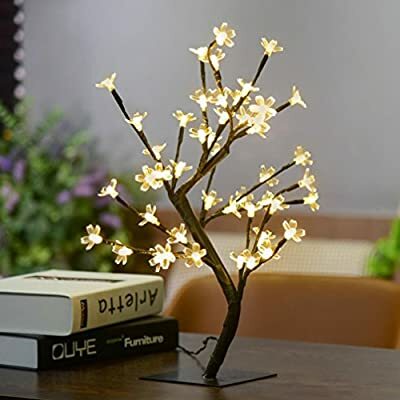 1.Bonsai style design, perfect for home decoration on the desk or table 2.0.45m/17.72inch height cherry tree light embellished by 48 warm white LED lights 3.Satisfy DIY need with the adjustable branches. 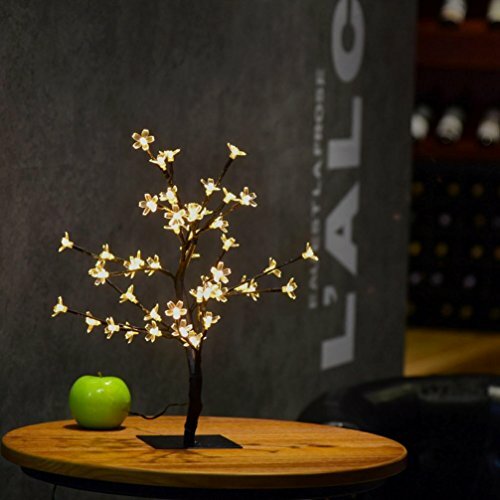 You can bend the branches and the tree into any shape or more natural tree shape as you like. 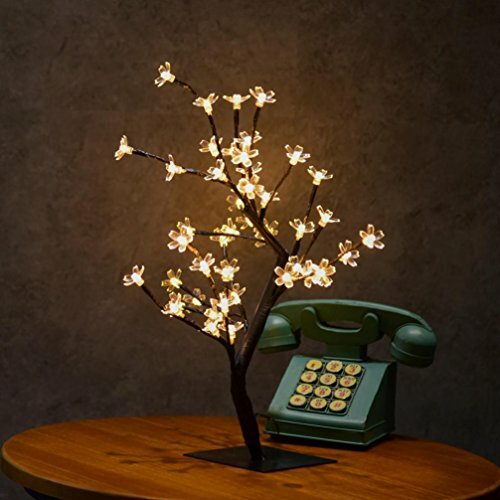 Build up exclusive tree light for yourself 4.Perfect for home, bedroom, living room, balcony, balcony window, office room, children's room, restaurant, porch, pavilion, shelf, for Christmas, New Year, parties, birthday parties, wedding ceremony, dinner party decoration 5. Package Included: 1x 0.45M/17.72Inch Height Cherry Blossom Tree Light 1x Power Adapter 1x User Manual. 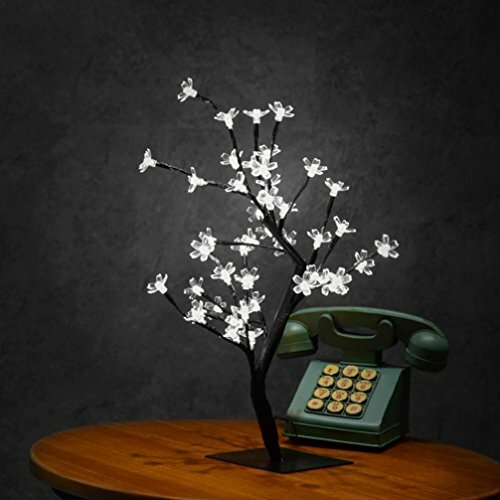 IKevan' Provides Each Customer with The Highest Standard Customer Service. Any qustion, please feel free to contact us, we'll do our best to serve you.